Gather student feedback to personalize learning. 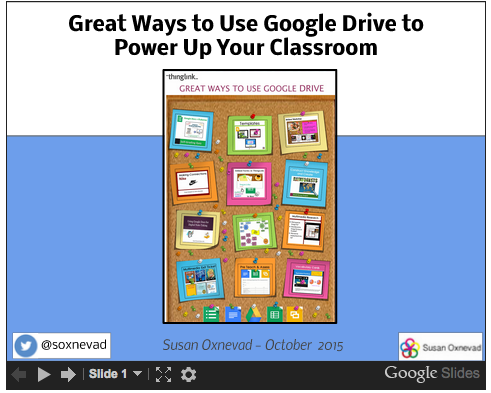 Embed a Google Doc inside of a video to increase student engagement and add a layer or accountability. When inspirational speaker Ken Shelton, @k_shelton, gave the keynote speech at our school district’s first Institute Day this fall, he challenged educators to join Twitter. Many thanks to Ken for inspiring the educators in our school district! We now have a more widely used hashtag and more of our teachers are beginning to use Twitter to document some of the great things happening in our classrooms, primarily through text and a photo. This is a very good start, but it’s only the tip of the iceberg. This post is dedicated to educators who are just starting to step into the world of Twitter and for innovative educators and tech coaches to share as you lead the way. Twitter is a quick and efficient method of exchanging information and ideas in order to learn with a global audience. Twitter is a great way to become a connected educator and engage in the exchange of ideas that could lead to positive transformations in your own classroom. This powerful method of connecting with others who share your passions can be life-changing. Twitter is considered to be a micro-blogging service because it allows users to send and receive quick bursts of information that are limited to 140 characters or less. Regular tweeters learn to use Twitter slang or cave man language to conserve characters and make room for hashtags, often abandoning punctuation. There is an art to writing a tweet, just like there is an art to writing a clear and concise message. Tweeters are allowed to break traditional spelling and grammar rules, as long as the message is coherent. When you sign up for Twitter you will need to create a username, which starts with the symbol @. Your username can be a form of your own name, but your name may already be taken. Educators are encouraged to set up a professional account to keep your personal and professional lives separate on Twitter. Tweets are public and they do become part of your digital footprint. Let’s say you’re interested in learning more about the common core standards. You can search the hashtag #ccss and find a running stream of relevant tweets. If you find something interesting you can tweet about it yourself and include the hashtag of your group. If you find someone who seems to have a lot to share, you can follow that person. This is a good place to start if you don’t quite know how to behave in the Twitosphere. For those of you who are relatively new to Twitter, you might appreciate the The Complete Guide to Twitter Hashtags for Education by @TeachThought to find some great hashtags for educational use. When you follow people, their tweets show up in a steady stream on your Twitter home page. Since a tweet is 140 characters or less, it’s fairly easy to sift through a lot of information in a very short amount of time. Of course, 140 characters does not allow a tweeter to share more than a preview or a quick idea. 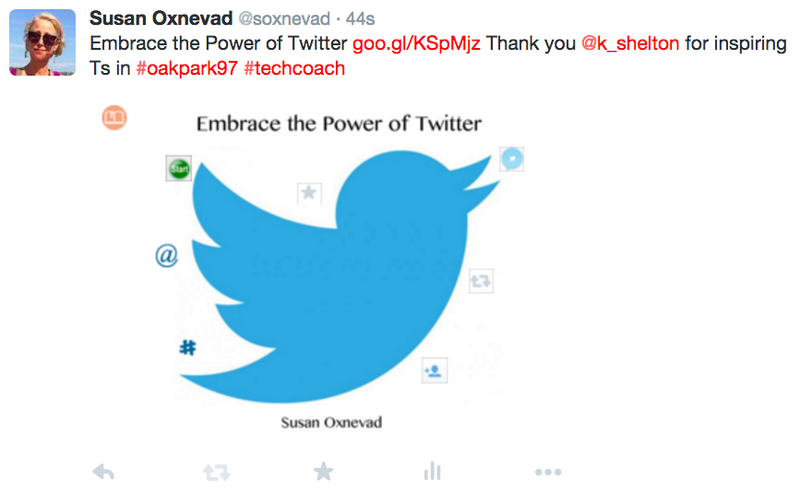 To fully maximize the power of Twitter, tweets usually include links to more information. As users sift through their tweets, they click on the links to dig deeper into the ideas behind the tweet, often following the author of the Tweet or the author of the article itself. Twitter will notify you when someone follows you. They also make recommendations about who to follow that show up on your own home screen. If you come across a powerful idea on Twitter, you can retweet it. This allows your followers to see the tweet in their home feed. Better yet, you can use the abbreviation MT, mention tweet, in a tweet you quote. You can then add your group’s hashtag to the end of the tweet to share that idea with colleagues who follow a specific hashtag. You can also compose your own tweet, add a link to the source of information and add a hashtag to the tweet. This is how ideas fly across the Twitosphere. Your followers will read the ideas you share, they share those ideas with their followers, they follow others and so on. There is no faster or more efficient way to share ideas. To maximize and share the great things you are doing in the classroom through Twitter, include a link to more information inside of that tweet. This helps others learn from you by digging deeper into the ideas and practices behind the text or photo. 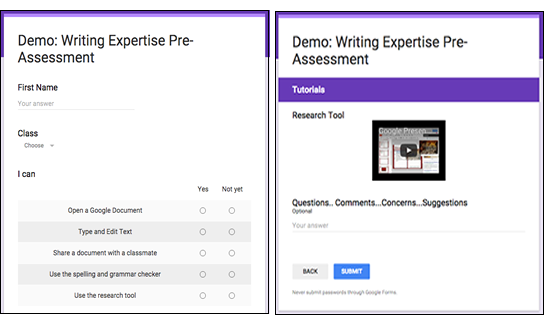 Link to samples of student work, link to resources, like to your blog or website with more information or link to lesson plans published on #GoogleDocs. Fellow tweeters will connect with you if your own tweets lead to more information, ideas and learning. This is how you can inspire others and establish collaborative global relationships based on common interests. If the information you share on Twitter is useful to like-minded Tweeters, they will follow you. Use the reply button at the bottom of a tweet to ask questions, send a thank you for the information and start a conversation about the topic of the tweet. Often, tweeters will share your ideas and add their own hashtags to bring your ideas to their group. This is how you learn with other, build your PLN and expand your learning and knowledge beyond the classroom or school walls. We are all learning together and this is maximized through the use of Twitter. When you you tap the star icon below a tweet you are adding it as a favorite. This lets the author know that you read their tweet and liked it. Twitter will notify you when someone favorites one of your tweets. Twitter chats are informal exchanges of ideas at prearranged times. Twitter chats utilize a hashtag to encourage conversations about specific topics, such as #1to1iPadChat. Twitter chats usually include a moderator who asks questions by adding, Q1 to a tweet with a hashtag for the twitter chat. Participants use A1 to answer that questions and start conversations. Participants in Twitter chats often end up following each other to continue exchanging ideas. Twitter chats are usually archived so interested Twitter users can sort through it all when the chat ends. Twitter chats can be very confusing when using Twitter alone, and they are much easier when using a service that provides users with a dashboard to manage your Twitter feed and the feed from the hashtags you are using. Tweetdeck is a popular Twitter tool used by participants in Twitter Chats. Sue Waters, @suewaters, has compiled a great resource to help educators learn more about Hashtags, Tweetdeck and Twitter Chats for Education. Twitter is an efficient and powerful platform for exchanging ideas and information to extend learning beyond the classroom, school, or district. This global exchange of information can truly help educators adapt and succeed in our rapidly changing educational climate by building on the expertise of educators across the globe. Join me for the first in a series of free webinars designed to Transform Teaching and Learning with ThingLink EDU. Explore the interactive image above to learn more about all of the webinars in the series and sign up to participate live or to receive the archived version in your inbox. 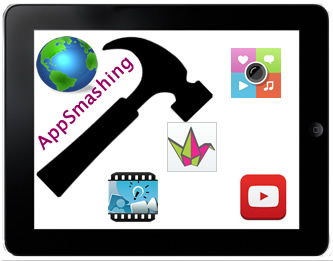 I hope you can join me for this PD series designed to help you seamlessly integrate tech into your classroom to transform learning and engage students like never before. 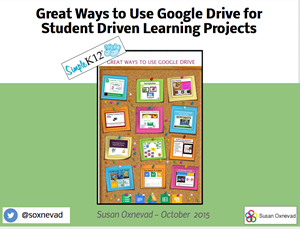 Over the weekend I hosted a webinar for Simple K12 to share Great Ways to Use Google Drive to Power Up Your Classroom. The content included a closer look at some of the resources found on a popular interactive image I’ve been building and fine tuning over the course of the past 5 years. To view the infographic, click on the Google tab above. I’ve received requests from many of the readers of this blog to share the slideshow, since the webinar was available for Simple K12 members only. So, here is the slideshow. 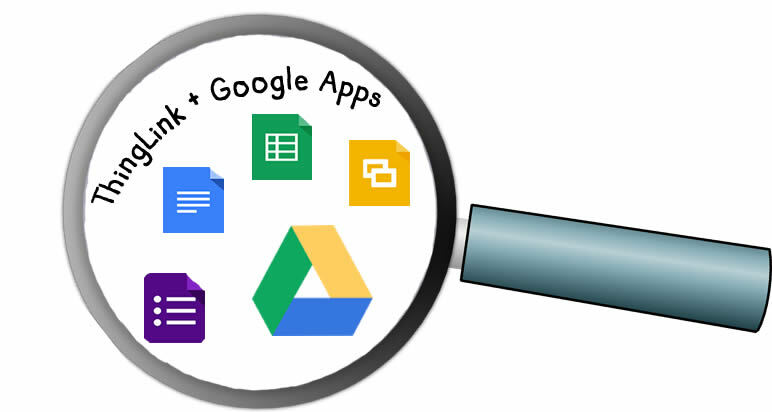 I hope it sparks some ideas for leveraging the power of Google Docs in your classroom. I’ll be hosting a series of ThingLink EDU webinars designed to help teachers, schools and districts Transform Teaching and Learning by combining ThingLink with common digital tools. Explore the interactive image below to learn more and sign up, or read more on the Webinars tab or this blog. Sign up to participate in the live webinars or get an archived copy in your inbox. 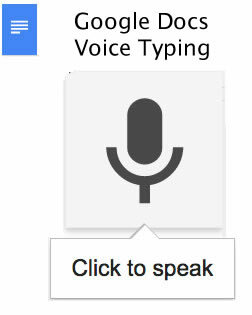 Google Docs has added Voice Typing to the Google Document! This built in feature allows anyone using Google Docs in the Chrome web browser to dictate text that will be typed. 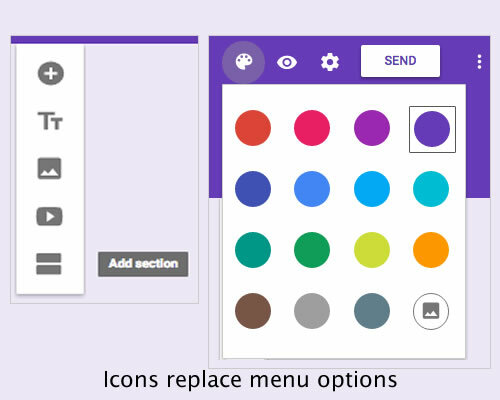 This built in accessibility feature will be extremely useful for students with special needs because it levels the playing field and provides all students with the opportunity to use the same tools in the classroom. Best of all, It’s easy to use and free! To use Google Voice Typing successfully, users must acquire dictation skills. They need to be taught how to use punctuation and how to correct mistakes. They also need to be taught how to edit and revise after the first draft is dictated. 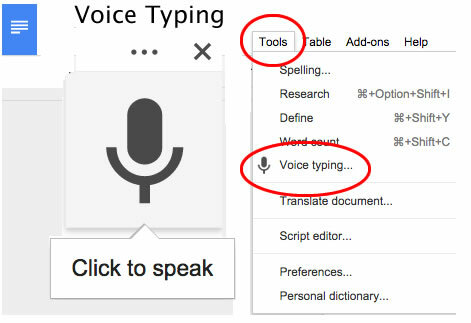 The voice typing tool can be conveniently found in the Tools Menu of a Google Document. 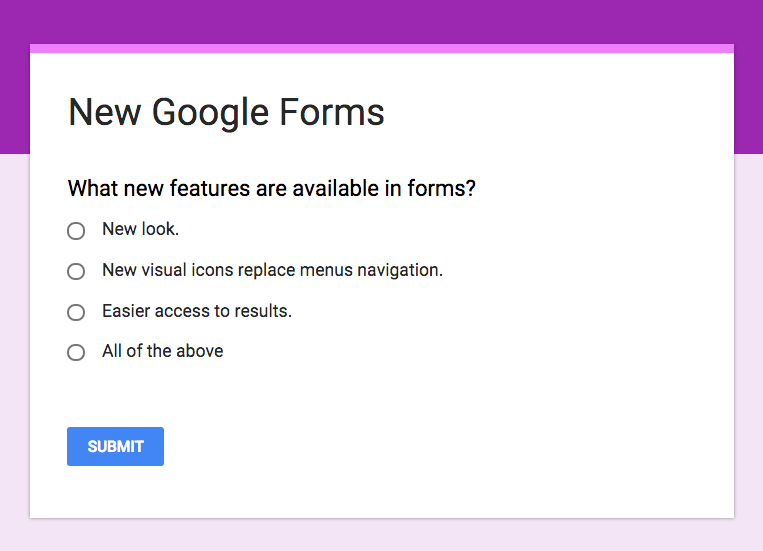 While the feature is not yet available in a Slides, I would guess it’s coming. In the meantime, students can dictate text in the document and copy and paste it into Slides. According to Google Docs help, here are common phrases that need to be spoken to punctuate and format dictated text. Students can highlight and delete a mistake without turning off the microphone. Once a mistake has been deleted, users can type the correction in it’s place and then move the cursor to it’s desired location to continue with diction. After the draft is completed, students should be expected to engage in the revision process of course. You must use Google Chrome on a computer to access the Voice Typing. Although this feature is not available through Chrome on a mobile device, the microphone option on the keyboard of an iPad provides similar functionality. All you have to do is enable Siri through Settings on an iPad to add the microphone to your keyboard. Voice Typing is very simple to use and it works well. I’m very appreciative of adding this built in accessibility feature to such a widely used educational tool. Now how about a simple to use, build in word prediction tool that works in Chrome? I realize there are some extensions and 3rd party tools, but to truly be accessible to all students, it needs to be built in.